Principal Mario Violich will be presenting a session on the University of California, Berkeley entitled Integrating New Retail Models and Co-Curricular Experience at the Society of College & University Planning (SCUP) 2014 Pacific Regional Conference. This will take place on Tuesday, March 25, from 3:45–4:45pm at the Lowes Hollywood Hotel in Hollywood, CA. Mario will present with Kelsey Harmon Finn, Executive Director, University of California-Berkeley and Alyosha Verzhbinsky, Principal, TEF Architects. This session examines the balance between institutional mission, revenue generation, and student priorities within today’s student union. 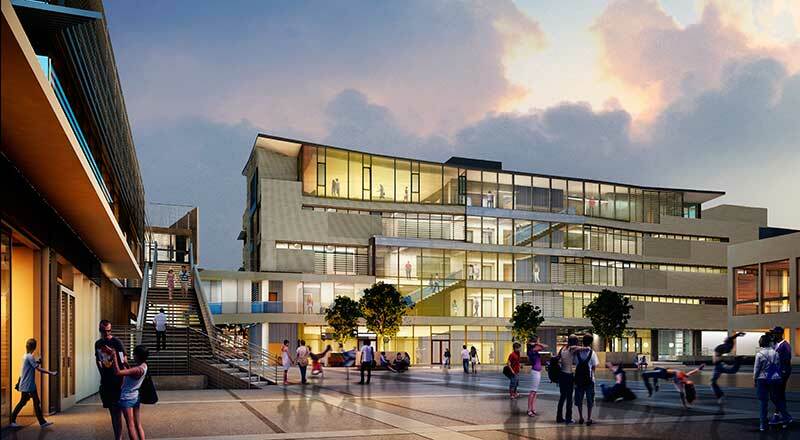 Using University of California Berkeley’s new student center as a model, we look at how to integrate a flexible platform for future expansion while considering changing market trends. With high value placed on the co-curricular experience and fiscal sustainability, we show how a student union can enhance the heart of campus life while it succeeds in integrating new retail models.